I have had a Ford Mondeo Titanium X estate car for over four years. It is spacious, comfortable and pretty well equipped, and I have few negatives to report. The Durotec petrol engine is a tad thirsty and in today's heavy traffic, I would prefer an automatic gearbox. What is your opinion of the current Mondeo automatic (petrol) estate? Has the gearbox any reported problems as far as you know? What other automatics in this class might you recommend as an alternative? Mondeos now have Getrag wet clutch Powershift automatic transmissions and there have been a few problems, but not nearly as many as with VAG DSGs and s-tronics. If you want to avoid this type of transmission, a Mazda or a BMW are your best bets. 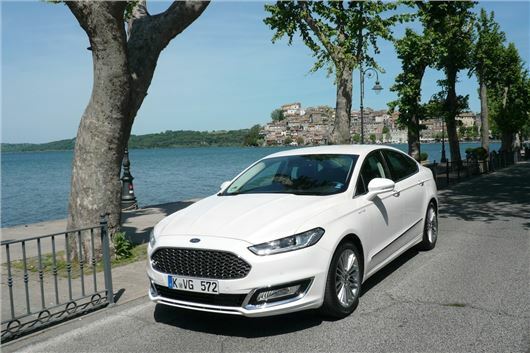 However, there is also a Mondeo hybrid now, and that might suit you best of all. I recently received a letter from my Insurers saying that a claim had been made against me for an incident with my car two months earlier. On the same day I was told to pay £150 extra premium. The alleged incident was in a place more than 200 miles from my home, where I have never been. I have proof of the location of my vehicle on the date quoted. Is it usual for the Insurers to demand extra premium in these circumstances? I had renewed the policy only three weeks before learning of the fraudulent claim. This is becoming alarmingly common. So resist it and demand to be given full details of the claim against you and your car. Don't take any nonsense about Date Protection. Someone has accused you of damaging their property. You are entitled to know exactly who that person is and if your insurer will not supply these details go to the small claims track of the county court and obtain a subpoena compelling the insurer to disclose this information. Also warn your insurer that you intend to charge him for all your costs in disproving the case against you. If they cite "absolute good faith", tell them it works both ways. Could you give me your thoughts as to why there are at least 20 used approved i3s on BMW’s own website for sale from around £16k to £20k depending on range extender or not. They are mostly 4-7 months old, 700 miles, yet have dropped from their original sale price by around £11k-£13k. What are your thoughts regarding these vehicles? Amazingly good to drive. These could have been on rental or demo fleets, but they are very expensive to build and BMW overestimated market acceptance for them. Still not cheap at £16k - £20k compared to a Renault Zoe electric, but less than a new KIA Niro hybrid. And, of course, you need an external power socket on your house. No good for street parkers or apartment dwellers where the block does not have parking with charging points, despite the range extender. I just waved off a terrifically nice chap from Kwik Fit Mobile. Ten days ago I took my wife's RAV4 to a Toyota dealer, as they had come up with the best price to fit a new CV joint. Toyota always safety-check the car and told me the two front tyres were worn: The lowest measurement on one was 1mm; the other they said was showing 2mm. I got four quotes, out of which Kwik Fit mobile was the best for Bridgestone Duellers as already fitted all round. The fitter asked why I was replacing two tyres as one of them had readings of 3.9, 3.2 and 3.4 across the width (the other he got 2.1 as the minimum measurement and should be replaced). So I thanked him for his honesty and replaced only one (yes I have put the least worn on the rears). But the question is, how can two experts come up with such different readings? This is a RAV-4, so presumably it’s 4-wheel drive (some aren't). If it is, then all four tyres need to be the same type and approximately the same rolling circumference or it will confuse the 4WD system and lead to damage to the system. Blue smoke on start-up of a 2008 Land Rover Defender Diesel. Any suggestions? The car is normally kept inside, has done relatively low mileage and is serviced properly. Failed valve stem oil seals, failed turbo bearing oil seals, failed piston oil rings. If the oil is black, then most likely to be a failed glowplug and the black smoke is half burned from the cylinder where the glowplug has failed. It now looks like my wife and daughter would like a 22k mile 13 reg Alfa MiTo TwinAir Distinctive and we are trying to get Fords of Winsford to sell us it for £6,500 instead of the advertised price of £7,000. The only thing that concerns me is the very firm ride and I wondered if there was anything that could be done with the wheels/tyres? It will come on the standard 17inch alloys. I think you once recommended a company that could replace car keys at a reasonable cost. Are you able to let me know the contact details, please? We have a 2006 Toyota Corolla petrol 1,600cc automatic. It's done 100,000 trouble-free miles and I suppose it owes us nothing. However, we are happy with the car and plan to keep it until repairs become uneconomic. It has always been serviced by a Toyota approved garage. It recently presented its first fault: the gear selector has become very stiff especially when cold. Even when warm the shift from Park->Reverse->Neutral->Drive and back requires some effort, but, once selected, everything works perfectly. At its latest service we asked the dealership to investigate, but when the car was returned the technicians had declined to investigate. Their reason was that diagnosing the problem was going to be too expensive. I'd still like to get to the bottom of it and find a remedy if possible. Can you offer any advice? We live in Marlow in the Thames Valley and would be prepared to travel some distance to deliver the car to someone who knew what could be done. Get it to an automatic transmission specialist that is a member of http://www.fedauto.co.uk/ Use the website to find one reasonably local. I think the problem is confined to the shifter quadrant and that parts are available for it. I have a Volvo V70 D and a problem of coolant loss. Losing the contents of the expansion chamber. After 150miles it needs topping up. My local Volvo Independent repair shop, has pressure tested and replaced the radiator, a couple of hoses and the pressure cap, but the problem persists. The car drives well; no obvious signs of a cylinder head gasket leak or heater matrix. Any suggestions to rectify? Do you think a product we used to refer to as Radweld could help? Might be an airlock that can be purged by turning the heater to maximum heat, taking off the expansion tank pressure cap, starting the engine from cold and running it until the thermostat opens and the fans start to turn. Then you'll need to be quick to replace the cap. Another possibility is that the waterpump has a leak, so then it's a matter of new waterpump, new timing belt, new tensioner and new aux belt. Do not pour in anything like ‘Radweld’ because that could cause more problems than it solves. We are looking for a 7 to 10 year old vehicle, so which model, year and engine size VW Polo would you recommend please as my wife quite likes them. I don't recommend them due to the very high number of complaints: /carbycar/volkswagen/polo-v-2009/?section=good/ I don't recommend the previous model Polo either. So what are BMW playing at? Are they selling them and never taking them off the web, or are they playing some daft game with potential customers looking for i3's? Who knows but having wasted lots of time enquiring for cars that have always just sold one is left wondering what BMW are up to here.